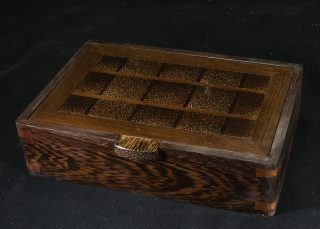 This compact tea box is made from marblewood from Suriname . 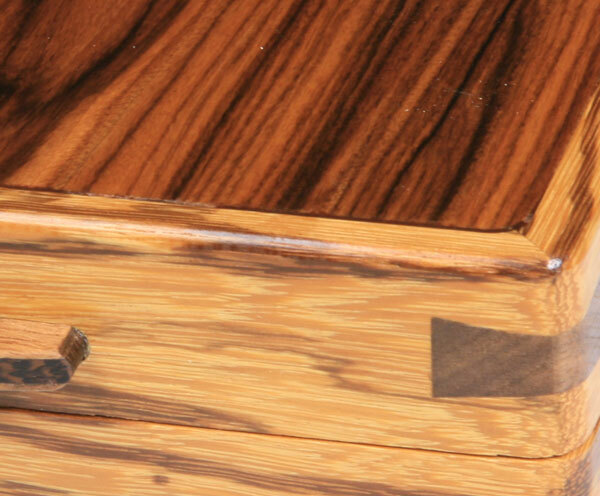 The joinery features walnut dovetail splines joining the mitered corners. 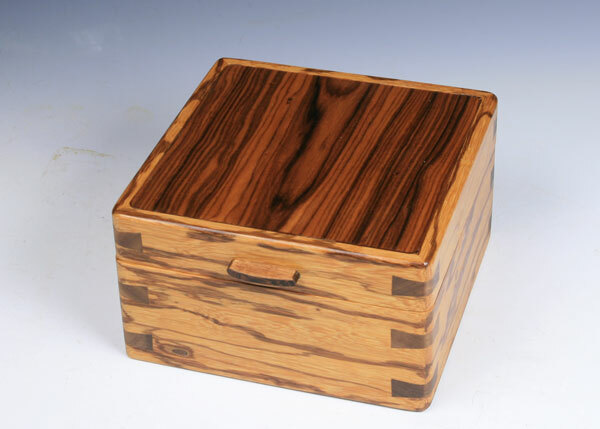 The top is a veneered panel of Bolivian rosewood burl with a koa and wenge knob. 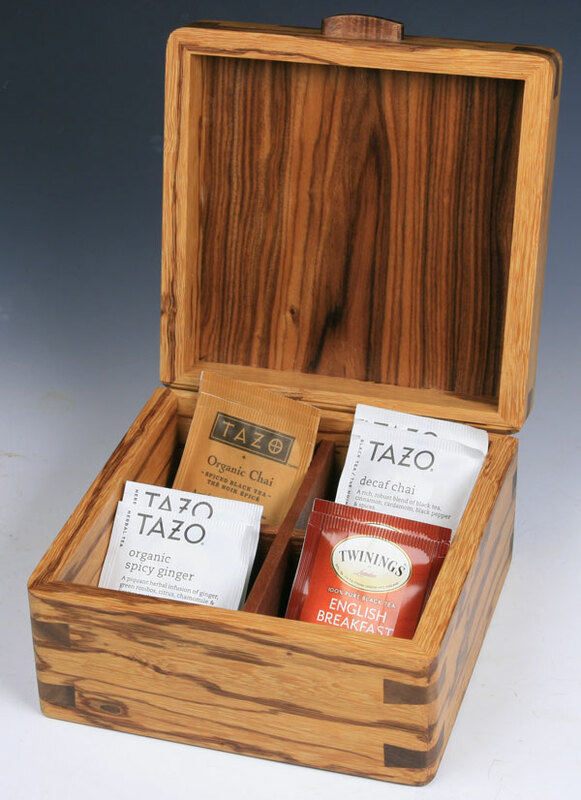 The perfect box to store or serve your favorite teas. 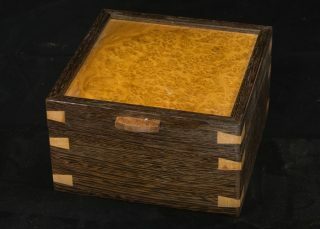 Each box is signed and dated and all the woods used are listed on the bottom. 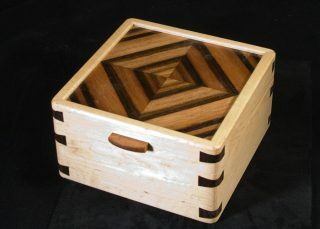 Size 7 x 7 x 4, Woods; marblewood, wenge, walnut. 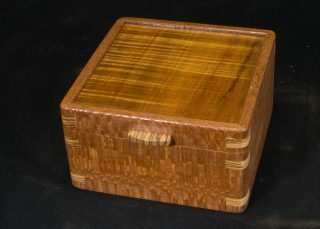 koa and Bolivian rosewood.